If you own a website, your goal is to attract visitors and build an audience. There are millions of websites out there, and the chances are someone is selling or promoting the same products, services or ideas as you. It can be hard to attract customers to your website when there is so much competition. Rankings are an important factor and learning how to do keyword research will contribute to your success. Most people use search engines to find the information and websites they need. So, if your website is optimized with the right keywords, it will rank well with search engines and people will see it when they search. If it is not optimized, it could easily get lost and confused with the millions of other similar websites. The best way to ensure that your website gets noticed and that you attract the right audience is to use search engine optimization (SEO) to improve your website. The key to using SEO successfully is understanding how to do keyword research. Keyword research is an important SEO technique that everyone should learn. By using keyword research to improve the keywords and phrases you use, you can better your chances of ranking higher in search engine results. However, there are many more reasons why keyword search is important. This won’t be your final list, but it should be a fairly large list of words that you think your customers or audience would search for if they wanted to find your website. 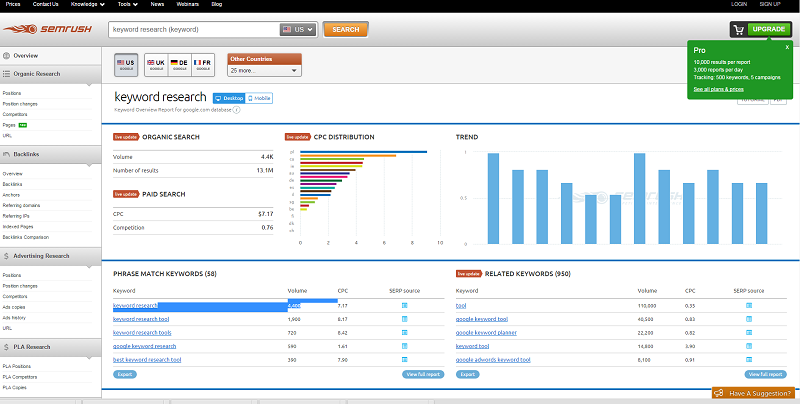 You will need to come up with a keyword and phrases list for each bucket topic you have created. If you are struggling to come up with enough keywords to fill all your buckets or feel as if the words you have chosen are too similar or repetitive, you can always research related search terms and keywords to come up with a better list. To do this, simply use Google to search for a keyword or phrase on your list. At the bottom of the page, you will see a list of related search terms. These are search terms other people used when looking for similar information. Consider adding some or all of these keywords and terms to your keyword list. You can also repeat this process with the related search terms you discover. Simply search for those words and you will be given a selection of more terms and possible keywords to use for your website. Remember to consider both head terms and long-tail keywords. When people search they will either use a head term, which is a short term, usually just one word or long-tail keywords, which is more of a phrase situated around a keyword. Everyone searches differently, but it important to include both head terms and long-tail terms in your list of keywords and terms that you plan to research. Some people may search for general words or head terms, which are just one-word terms. Others may search for a more specific terms, a long-tail term that consists of two or three words or a phrase. Head terms are usually searched for more often than long-tail terms, which makes them more competitive and harder to rank for. Long-tail terms aren’t as competitive and could help you rank higher. Long-tail terms are also more beneficial because they can bring you better quality traffic. Someone who is searching for something as specific as “women’s winter shoes” is probably more interested in buying a pair of women’s winter shoes and not just looking for more information about shoes. The best way to determine if a keyword is a good choice, is to see how well your competitors are ranking with the same keyword. You may not be interested in using the same keywords, but it will be helpful to know how your competitor is trying to rank. If you find that your competitor is ranking with certain words, you may want to consider using those words yourself. Yes, these words may be more competitive, but they could also pay off and have a better value. It is better to choose a few words with a high value, even if they are a little more competitive instead of just playing it safe with words that may not be as competitive, but are also not as valuable. Optimizing for traffic is a way to get your website noticed and to attract a lot of people to it. It is a good idea for websites with a unique message or product or websites that are new and need to become established and grow an audience. Just remember, traffic does not always mean revenue. Just because someone use a keyword to find your website doesn’t mean they will be likely to visit your site. Most websites are optimized for conversion because conversion brings in revenue. Just having someone visit your web page is not enough. If you want to keep them coming back and want to attract the type of visitors who will click on ads or make purchases, you should optimize your website for conversion and use keywords that have more value or bring you a better customer. 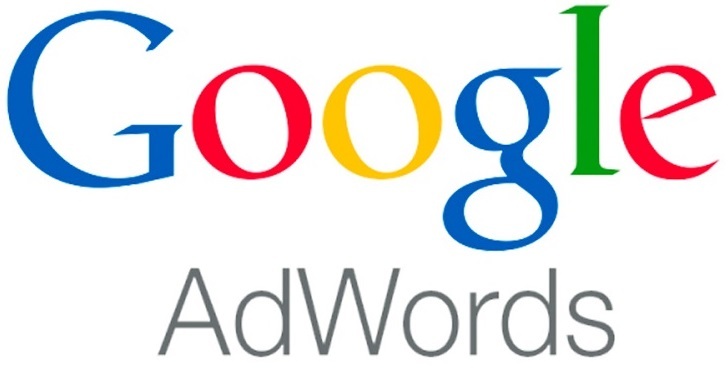 Once you have a good list of words you can use the Google AdWords Keyword Planner to help narrow down your list. You can use this tool to learn about the value of each word and how many of your competitors are using the same words. You can then decide which words will help you rank higher and how to mix up your words for the best results. You can use these figures and data to decide which keywords are the most likely to help you rank and bring you the most success. Compare the search volume of a word with the competitiveness of the word to see if it is worth using it. Just because a word has a high search volume doesn’t mean it will be a successful keyword. If too many other sources are using the same keyword, it will make it harder for you website to rank with it. Check out your competition to see what Meta tags they are using. 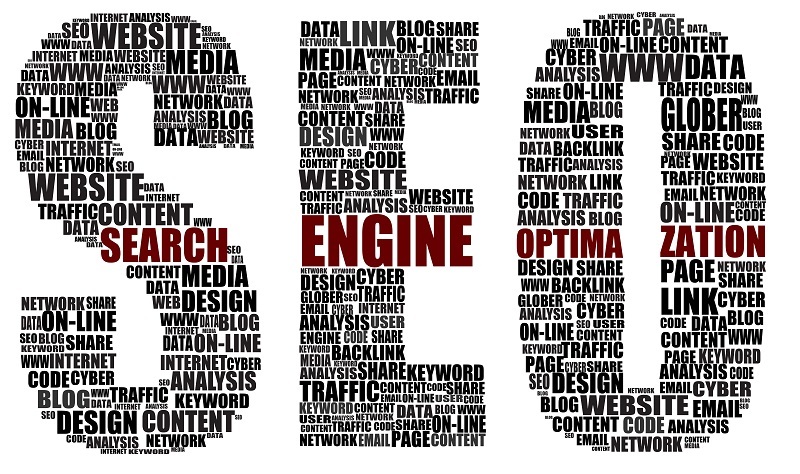 This will give you an idea of what keywords you should use for your own search engine optimization purposes. 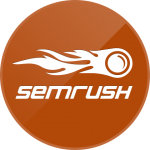 SEMrush is a great tool that can help you with this. Don’t be afraid to ask others for advice or suggestions. Find someone who is interested in your product, service or website and ask they what words they would use to describe it or how they would search for it. Be specific with your keywords. Instead of using a general world, consider adding another descriptive word to it. 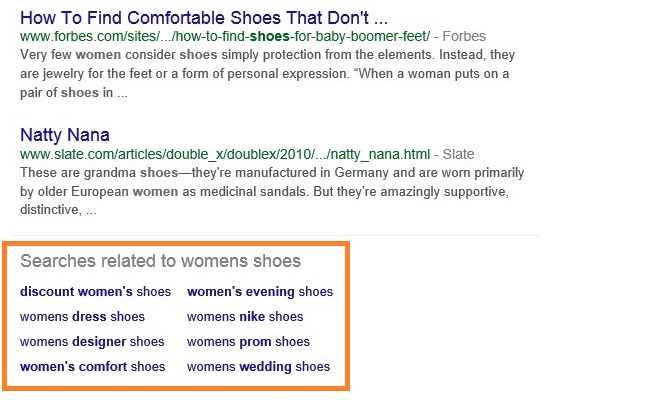 Don’t just use “dress shoes” as a keyword, try “women’s dress shoes” instead. Remember to update your keywords often. Industry trends change and you should pay attention to what your customers or audience want and the feedback they leave you. Once you have found the right keywords for your website, it’s time to put them to work. 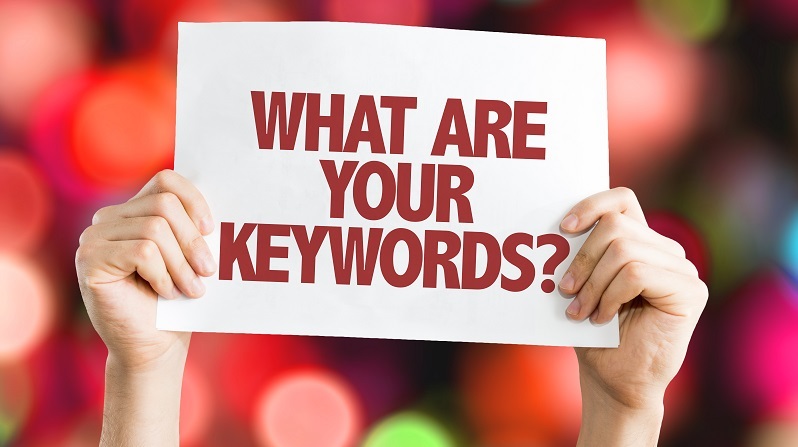 For the best results, keywords should fit naturally into your website. Using too many keywords or putting them in where they don’t belong or don’t make sense, will just confuse readers and cause them to not take your website seriously or see it as legitimate or trustworthy. Remember, you don’t just want to attract someone to your website once, you want them to stay, make purchases and come back time and time again. What’s The Next Step after Keyword Research? Keyword research is the first and one of the most important steps in SEO, but it is not enough to optimize your website. You need to use those keywords in your content. Once you have picked out the best keywords and have narrowed your selection down to the top two or three, it is time to use them in your content. You can create this content yourself or hire an outside company to do it for you. Your content is where the real magic happens and it is the result of all of your hard work and keyword research. Content creation can be suited to meet your needs and you may find that you need to research new keywords for each page of content, post or article you plan to make on your website. The more keywords and content you use, the more opportunities to you have to rank higher in search engine. You could rank differently with each word and using different keywords on your website can make your company appeal to a wider audience, increasing your traffic and revenue. It all starts with keyword research. You have put in a lot of time and money into creating a website that represents your product or service you are offering. Wouldn’t it be a shame if nobody or very few people saw your website because of a lack of keyword research and optimization? It can be easy for a website to go unnoticed on the Internet, but keyword research helps you ensure that this never happen to your website. If you have a website that you want to monetize, make sure that you are applying keyword research and the appropriate SEO techniques to make it as successful as it should be. Let us know in the comments below if you currently use keyword research, and how successful you have found it? I must say, It’s the best article I have ever read and totally agree with you that blog is one of the best ways to get SEO keyword. Great information. Keyword research is so important and you hit some very good points in this post! Thanks!! Great to hear that our article has been on interest to you. If you like this, be sure to sign up to our mailing list and you won’t ever miss a post. Very knowledgeable information about these services. Impressive guide! I heard about this site from a friend who recommended you. I’m in the process of building a site at the moment – Do you have any advice for me? I signed up to the mailing list and look forward to your future posts. Be sure to let us know how you find it. Hello, I have signed up to the SEM rush 30 day free trial via your link in the post. Thank you for your insightful advice I look forwawrd to trying this out for myself. Keyword research is crucial to your marketing plan! Good luck for the future Huw. I’ve been trying to work on the SEO lately for my site, but I had no idea how important and effective keyword research is. This is top of my to do list for the rest of the year. Thanks for the advice MonetizePros!